A MUST SEE 2 bedroom, 2 bath semi-oceanfront condo with BEACH ACCESS RIGHT ACROSS THE STREET! 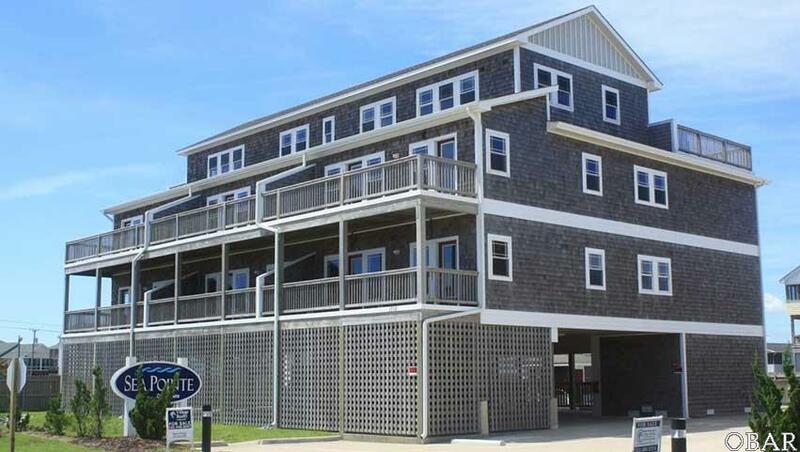 The Sea Pointe Condominiums enjoy two outdoor pools, elevator access, outdoor showers, covered parking, grill area, and the direct beach access, all within walking distance to some of the best restaurants and shops in Kill Devil Hills. This condo is comfortable and tastefully decorated, with a spacious living room that opens to a dining area and kitchen with stainless steel appliances. One bedroom hosts a king bed with deck access and the other bedroom offers a full bed and a twin bed. A perfect beach getaway and successful rental!